Five months after we are conceived, music begins to capture our attention and wire our brains for a lifetime of aural experience. At the other end of life, musical memories can be imprinted on the brain so indelibly that they can be retrieved, perfectly intact, from the depths of a mind ravaged by Alzheimer's disease. In between, music can puncture stress, dissipate anger and comfort us in sadness. As if all that weren't enough, for years parents have been seduced by even loftier promises from an industry hawking the recorded music of Mozart and other classical composers as a means to ensure brilliant babies. But for all its beauty, power and capacity to move, researchers have concluded that music is little more than ear candy for the brain if it is consumed only passively. If you want music to sharpen your senses, boost your ability to focus and perhaps even improve your memory, the latest word from science is you'll need more than hype and a loaded iPod. You gotta get in there and play. Or sing, bang or pluck. "The Mozart effect? That's just crap," says Glenn Schellenberg, a psychologist at the University of Toronto who conducts research on the effect of music and musical instruction. Even the author of the 1993 study that set off the commercial frenzy says her group's findings - from an experiment that had college students, not babies, listen to Mozart - were "grossly misapplied and over-exaggerated." Psychologist Frances Rauscher, along with the rest of the field studying music's effects on the brain, has long since moved on to explore the effect of active musical instruction on cognitive performance. The upshot of their work is clear: Learning to make music changes the brain and boosts broad academic performance. Findings across the board suggest that, even for a kid who will not grow up to be a Wynton Marsalis or a Joshua Bell, spending money and time on music lessons and practice is a solid investment in mental fitness. Entrepreneur Don Campbell, dubbed the "P.T. Barnum of the Mozart effect," has built a thriving online business selling CDs with names like "Mozart to Go" to enhance children's creativity and school performance. And, Campbell says on his Web site, parents of children with dyslexia, autism and attention deficit hyperactivity disorder should buy his CDs to improve their children's neuropsychiatric conditions. Campbell's sales pitch melds seemingly scientific claims with breathless hype. Mozart's compositions "modify attentiveness and alertness" because their "structural and not overly emotional expression helps clarify time/space perception." His proprietary mixes of the prodigy's music, writes Campbell, draw on "psychological, physiological, and aesthetic factors to achieve a variety of auditory, physical, and emotional responses." Wolfgang Amadeus is not the only composer beloved by entrepreneurs promising smarter children. Internet sites offer fretful new parents a range of slow, synthesized music by other musical greats, including J.S. Bach, Haydn and Vivaldi. A "Baroque-a-bye Baby CD," its cover showing a blissed-out baby clamped into earphones and a slant seat, promises that its musical offerings will mimic mother's heartbeat at 60 beats per minute, offering "mathematical perfection and symmetry" designed to "stimulate your child's brain." If only basking in surround sound were enough. The effect of listening to beloved classical music is at best small, fleeting and - with all deference to the late-18th century musical genius - not even unique to Mozart, Schellenberg says. True, listening to music we like - whether it's hip-hop, show tunes or Schubert - does makes us feel good. Positive mood, in turn, increases focus and attention, which improves performance on many tests of mental sharpness. In some, but not all, studies, that includes improvements in the kind of mental skills we use in doing complex math problems, interpreting driving directions and pondering how to fit a large bookcase in the trunk of a small car. But the performance-enhancing effect, Schellenberg says, lingers for no more than about 10 minutes after the music stops. Learning to play, he has found, is a far better bet. In a 2004 study, he and his colleagues randomly assigned 144 6-year-olds to receive instruction in keyboard, voice, drama or nothing. After a year, kids who got keyboard or voice lessons showed a 3-point IQ boost on average over the kids taking drama or no lessons at all. It's a modest improvement but one that may build on itself since, for all its faults, IQ is a reliable predictor of a child's performance in school. Better performance in school typically leads to more and better schooling - which, in turn, further increases IQ. For those receiving musical instruction, "there is evidence that music changes the brain in positive and permanent ways," says Laurel Trainor, professor of psychology, neuroscience and behavior, and director of the auditory development lab of McMaster University in Toronto. Yet like a medication that powerfully treats an illness, but in mysterious ways, the means by which music might enhance cognitive powers has eluded scientists so far. They do have some clues. Learning to make music engages and demands coordination among many brain regions, including those that process sights, sounds, emotions and memories, says Dr. Gottfried Schlaug, a Harvard University neurologist. Years ago, Schlaug found a glaring and suggestive difference between the brains of 30 professional musicians and 30 non-musician adults of matched age and gender. In the musicians, the bundle of connective fibers that carry messages between the brain's right and left hemispheres - a structure called the corpus callosum - was larger and denser on average than that of their non-musical peers. The brawnier bridge was particularly notable toward the rear of the brain, at the crossing that links areas responsible for sensory perception and voluntary movement. It suggested not only that musicians might be able to more nimbly react to incoming information but also that their brains might be more resilient and adaptable, allowing right and left hemispheres, which specialize in separate functions, to work better together. Schlaug and colleagues also found that the musicians who had begun their musical training before the age of 7 showed the most pronounced differences - suggesting an early start might rewire the brain most dramatically. Newer work has shown that music also enhances mental performance. In a study published last March, Schlaug and a team of researchers in Boston put 31 first-graders through magnetic resonance imaging (MRI) brain scans, as well as a series of cognitive skills tests, to gauge the effect of 15 months of keyboard training. Compared with kids getting a playful group music class once a week, 6-year-olds who got intensive, weekly, one-on-one music instruction had greater and more widespread expansion in volume across many areas of their brains. And they performed better on tests of fine motor skill and of several other skills directly related to music. But the study, published in the Journal of Neuroscience, failed to find improvements in cognitive skills not directly related to musical skills, such as word recall, language discrimination, abstract reasoning and spatial and visual problem-solving. Other studies have found that music instruction may indeed make you smarter. 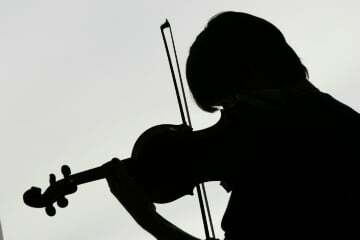 A team led by Trainor reported that in kids chosen randomly to get a tightly structured instrumental training called the Suzuki method, brain responses were two to three years more mature on average than those in children not taking music lessons. Electrical signals traveled more swiftly and efficiently through the brains of the Suzuki-trained kids, who also showed improved performance on tasks that required sustained attention and the ability to hold information in memory long enough to execute complex tasks - what neuroscientists call working memory. "What happens in music lessons is they're fun," Trainor says. "But at the same time, they're very demanding. The child has to hold an instrument, position his hands, listen to the sound the teacher's making, reproduce that sound, hold in mind the sound and compare it, assess pitch and sound quality, and change that if necessary. "All that takes a tremendous amount of attention. It trains kids how to accomplish things, and it trains memory as well," Trainor adds. "All that is going to make you better at learning." In the end, music listening may come in a distant second to learning in a brain-building contest. But one thing we know beyond a doubt is that it brings pleasure - and few psychologists scoff at the power of that. It promotes well-being. It enhances attention. It protects against the depredation of age. It can even ease pain. "Music is one of those things out there that people enjoy," says Robert Zatorre, a neuropsychologist at McGill University who researches music's effects. "That's already a lot!"